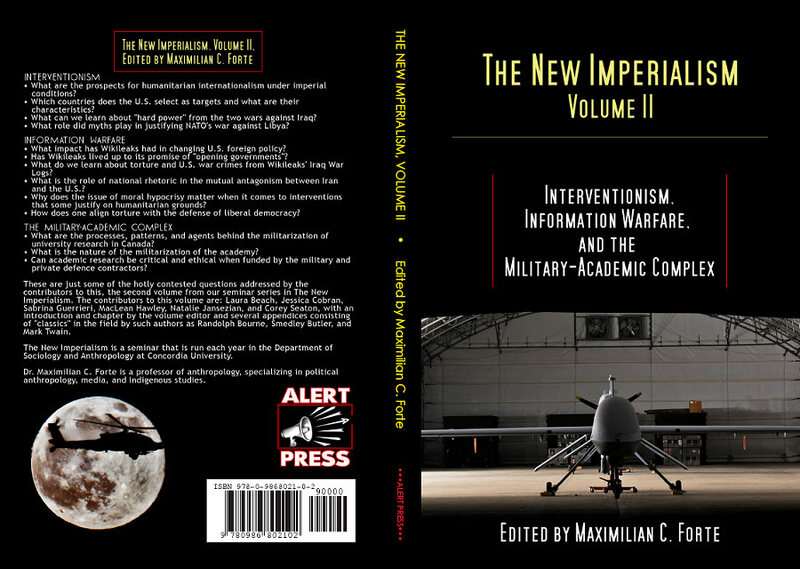 The complete text (click to preview/download) of The New Imperialism, Volume II: Interventionism, Information Warfare, and the Military-Academic Complex. Edited by Maximilian C. Forte. Montreal, QC: Alert Press, 2011.